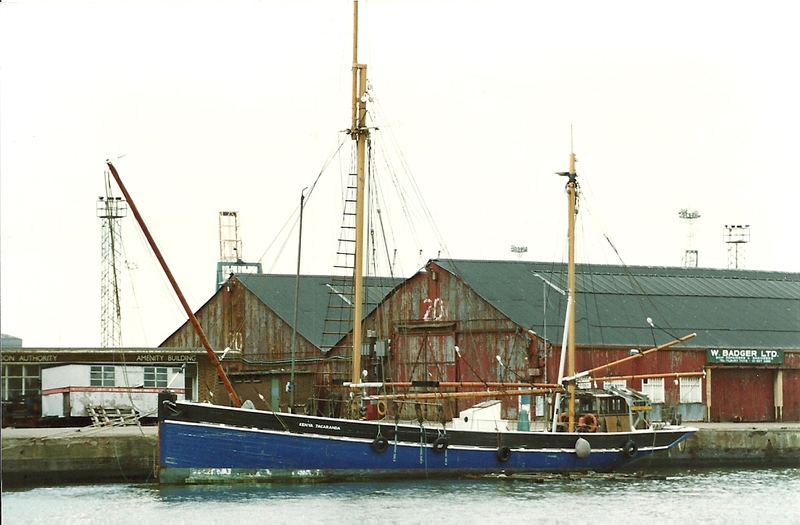 The KENYA JACARANDA in Tilbury Docks 18/3/87. 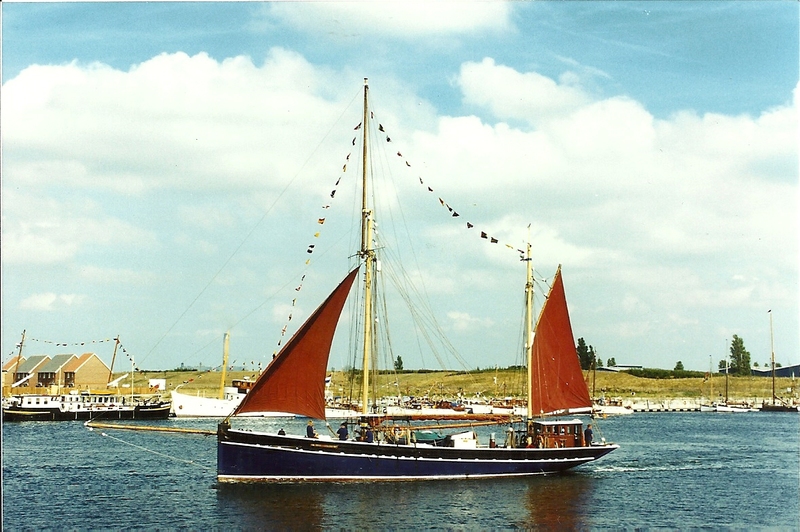 She began her days as the Brixham TORBAY LASS in 1923. 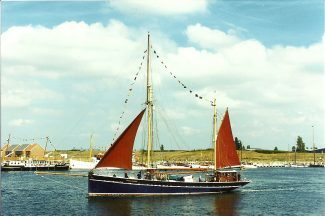 She became the KENYA JACARANDA in 1939. 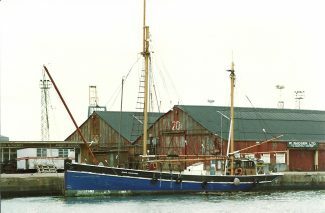 She is sail or twin diesels and is part of the National Register of Historical Vessels. The second photo 8/97.